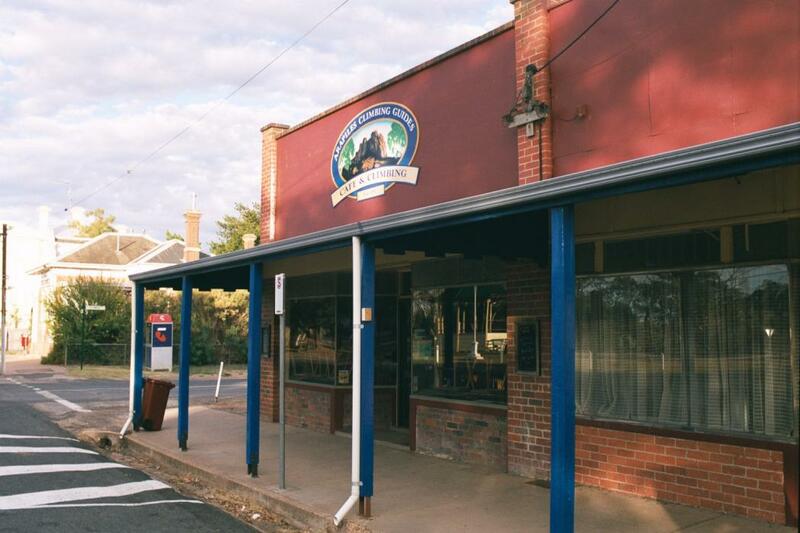 In March 2000, I had the good fortune to find myself on a business trip in Australia, with the possibility to take a few days off before taking the very tiring flight (5 flights, 36 hours!) back. 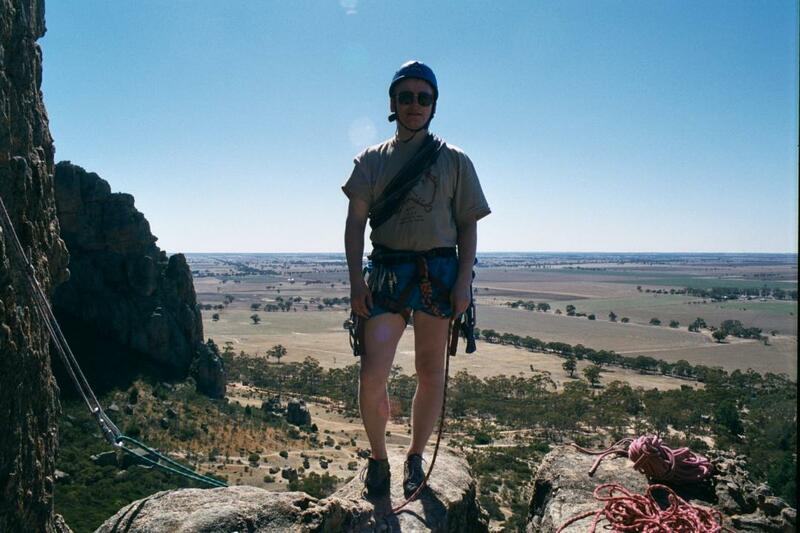 Well, I went climbing. 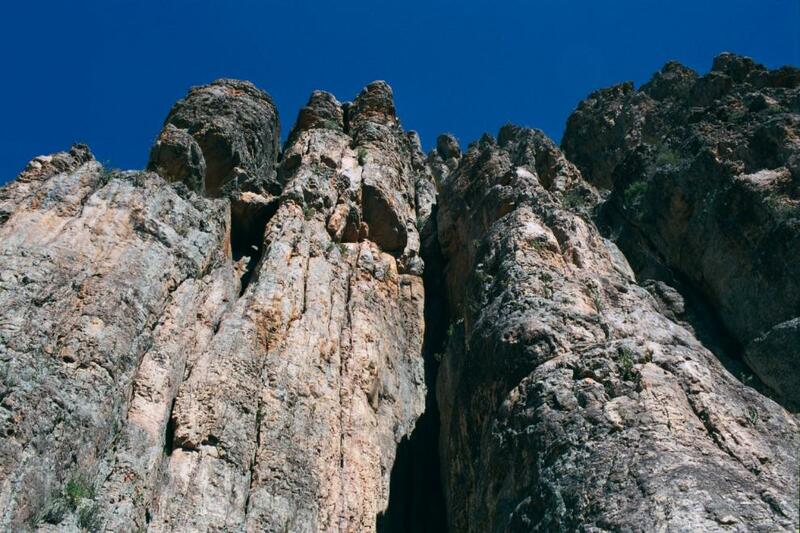 Mount Arapiles is a famous place for climbing in Australia, known also well internationally. 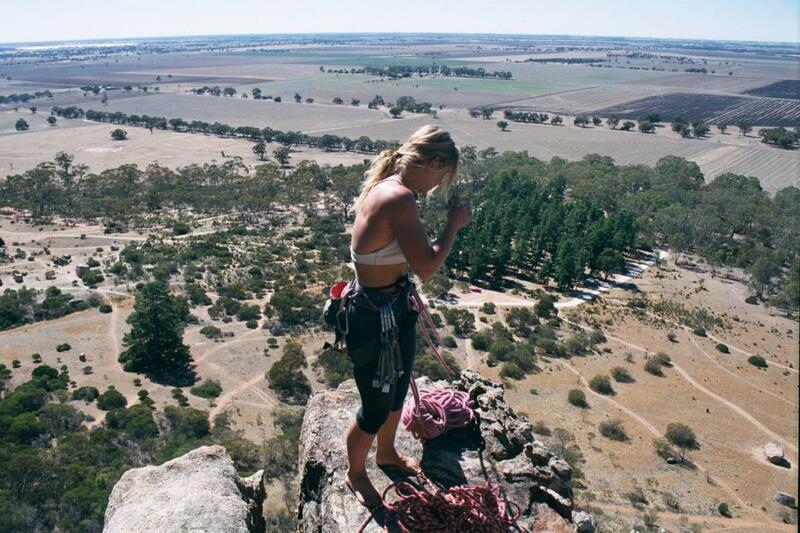 On the first day I took some lead climbing practise with a guide. Look at the forms of the rock! 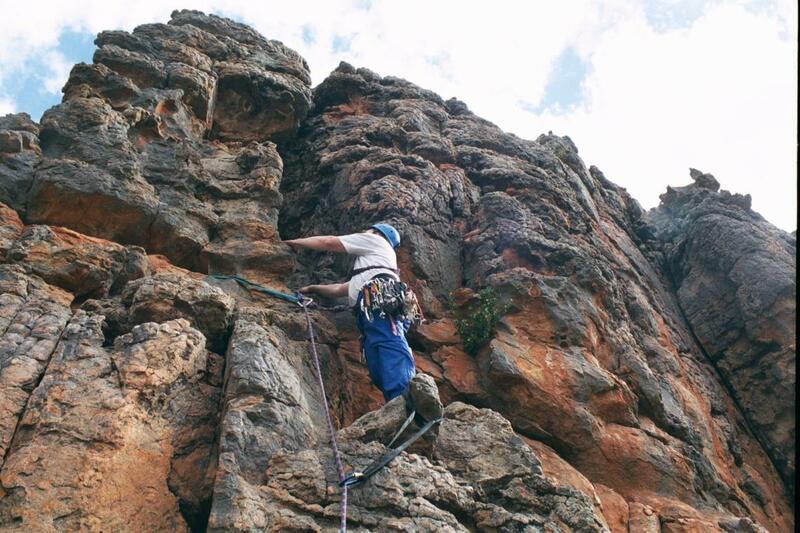 It is as if acid had been poured over it to create handles and belays for the climbers. 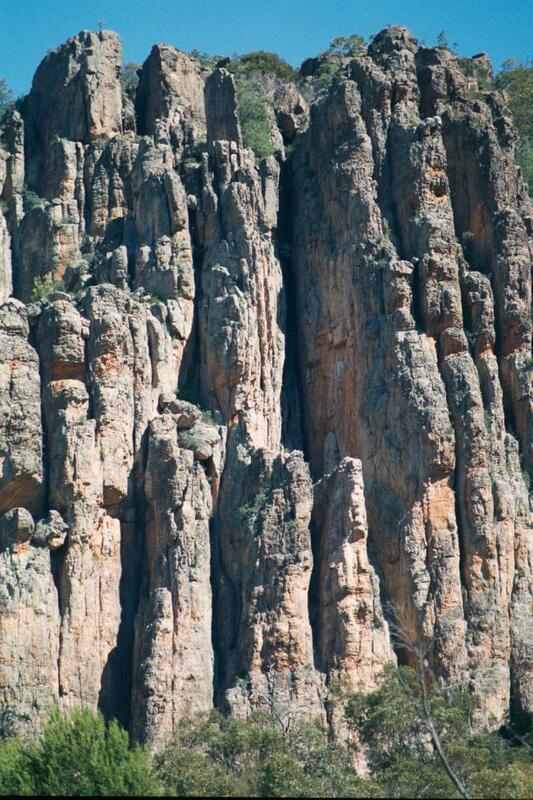 On the second day I went with another guide to climb a magnificent set of pillars, 100-150 meters high. The views from the wall were excellent. Here's one, showing also the belayer for the neighbour team. In this picture we are some 50-70 meters off the ground. Check out also the pillars from close up - what looks like a tiny detail in the large picture above is a huge pillar, several meters wide. We were climbing between the pillars. 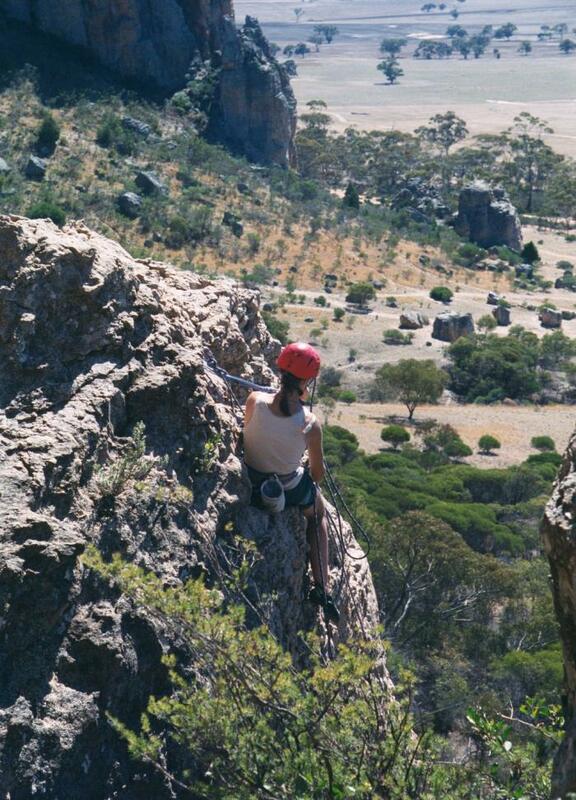 Guiding and equipment for Arapiles can be rented from the nearby town where Arapiles Climbing Guides holds their office "Cafe & Climbing". 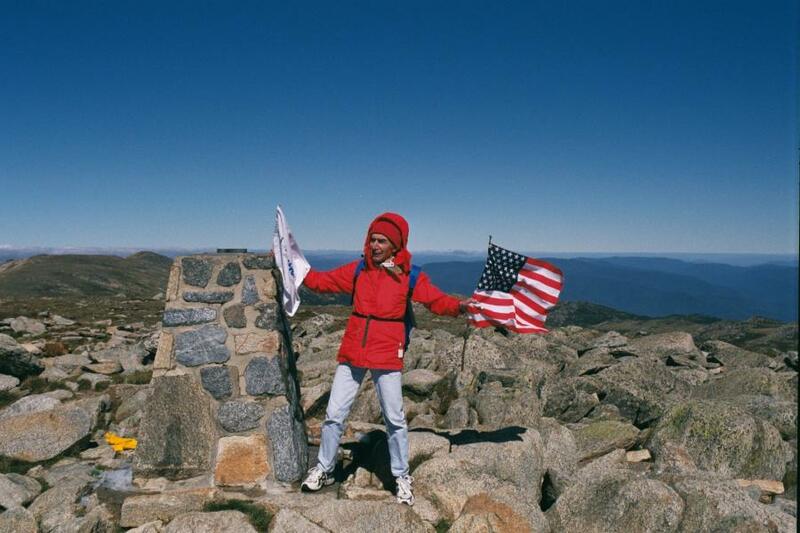 Later, I also "climbed" one of "The Seven Summits", Mt. 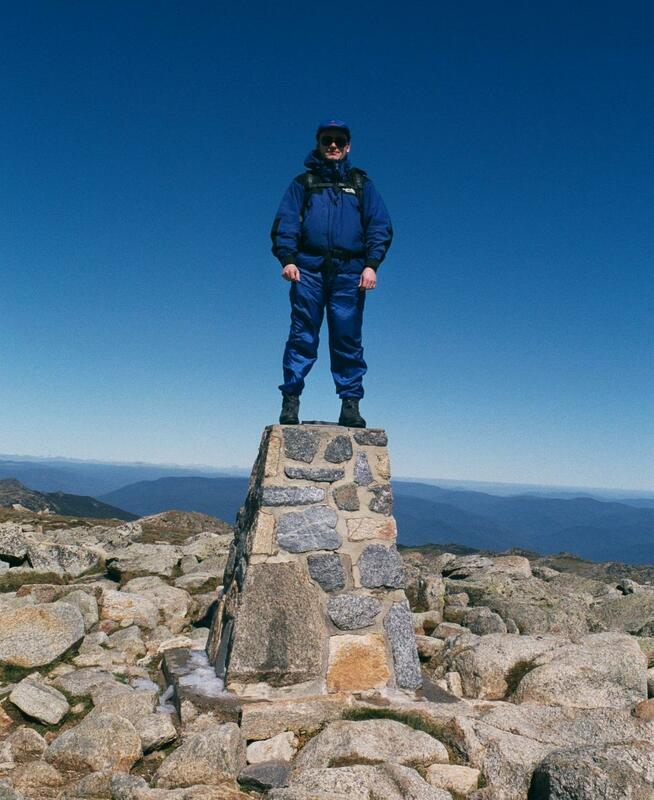 Kosciuszko, a whopping 2,228 meters high mountain and the top of the Australian continent. Others seem to take this business even more seriously - this guy really was after the seven summits. I'm glad he could get his pictures before the schoolgirls arrived on the top.